Road To Beauty: How Do L’equipee Girls Manage To Stay So Chic On Their Motorbikes? 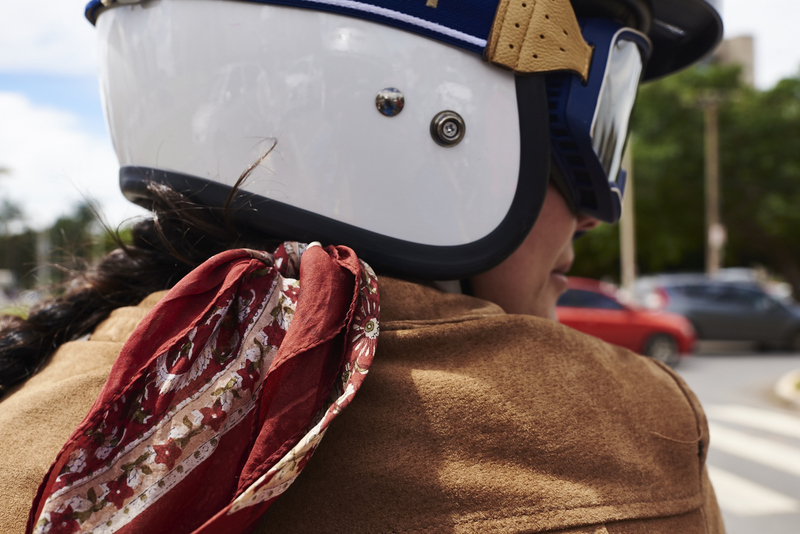 L'equipee girls know how to stay feminine in the very male-dominated world of motorcycles. A few touches here and there go a long way, without compromising safety. L’equipee girls know how to stay feminine in the very male-dominated world of motorcycles. A few touches here and there go a long way, without compromising safety. The overalls: We love all things retro. Louise B introduced us to these aviator overalls from the turn of the century. It’s an asset because it highlights the waist and cuts a nice figure. The downside is that bathroom breaks can become a bit of a problem. 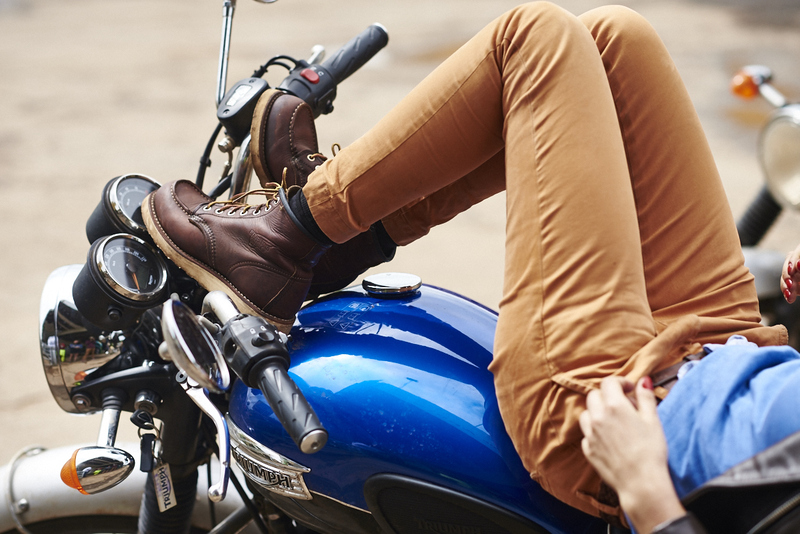 Leather: There’s no way around it if you’re really on the road. Since the jackets have to be made of thick leather and reinforced at the elbows and shoulders, it’s quite a challenge to find nicely cut ones for women. But some brands do make close-fitting models, often in great colours. Shoes: We can’t afford to compromise comfort or security when we’re on a proper road-trip. We found a good solution with these leather boots. Their only fault was that, since these are actual worker boots, we’ve had to go through a week of torture to break them in. We were even advised to soften the heel with an actual hammer! Luckily, the rough traveller look is quite trendy in Paris right now. The helmet: Forget about the plain full black helmet you used to see everywhere. Today, you can choose between lots of different brands and accessories. Flat or round visor; cap or no cap; mask or specs; the choice is yours. The important thing is to really keep your eyes protected. One of our friends almost lost one of his eyes recently, all because of a fly! 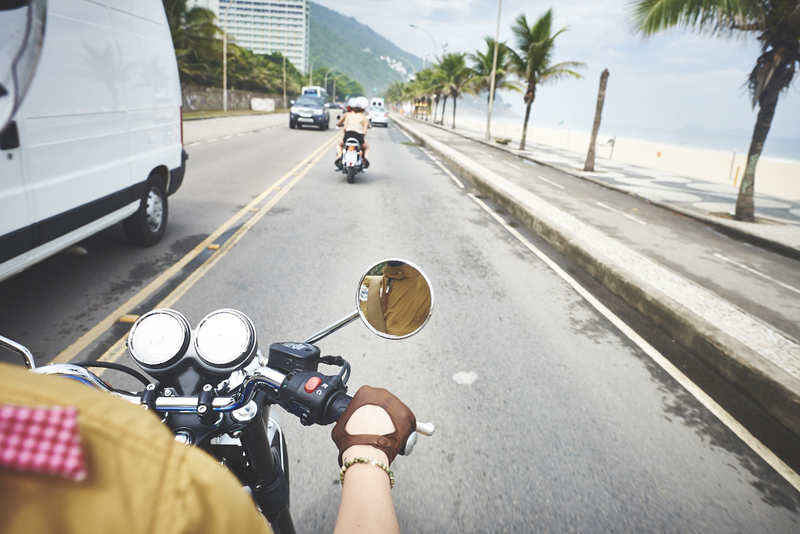 Gloves: The one thing a motorcycle rider can’t ever do without. If you fall, your hands are the first thing to touch the fast-moving ground. Once again, we were inspired by the retro pilot look, with these perforated gloves. Which has caused some issues with our tans, we can tell you! Accessories: They are the best way to stay feminine. We’ve been playing with fabrics, colours, patterns. A silk scarf, for instance, can break the Terminator look you can end up having in full biking gear. It’s light, it flutters in the wind. Keep in mind though, not to let it flutter too close to the wheel (we won’t name any names…). Style limitations: The main one is the rain outfit. It’s impossible to find waterproof gear that isn’t ugly. But you can’t do without it when the weather gets bad. It’s impossible to ride for hours when you’re soaking wet!